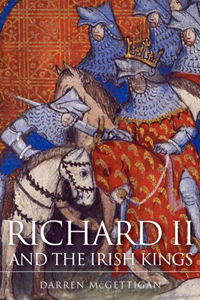 This beautifully-produced book explores King Richard II's military campaigns in Ireland (1394 and 1399) focusing on his encounters with the Irish kings. Richard II (1377-99) was the first reigning English monarch to visit Ireland since King John in 1210 and he knighted thirteen-year-old Henry of Monmouth, later King Henry V (1413-22), in the Wicklow mountains. The submission of the Irish kings to Richard should mark a high-point for the crown, but the importance and value of this episode is negligible, and the story of Richard II in Ireland is one of failures and missed opportunities culminating with the king's deposition and death shortly after his hasty departure. Four Courts Press have done an excellent job offering an attractive volume, with an easy-to-read font, supplemented with twenty-six colour plates. These showcase a range of archaeological artefacts and remains, antiquarian drawings and manuscript images, which, coupled with McGettigan's text, brings fourteenth-century Ireland alive. The six images from British Library Harley MS 1319 (a richly illuminated copy of Jean Creton's La prinse et mort du roy Richard) are particularly striking, they include: Richard's relief ships arriving at Leinster (plate 22); and the famous confrontation between Thomas Despenser, earl of Gloucester, and a defiant, powerful Art MacMurchadha Caomhánach, king of Leinster (1375-1416/17), who leads his men riding out of the mountainous forest (plate 23). The cover, depicting Richard II knighting the future Henry V (a folio reproduced in its entirety in plate 21) is particularly eye-catching. This focus on Henry encapsulates Richard's failures in Ireland: he would achieve little, and Henry's dynasty would succeed Richard. The first chapter deals with Richard's character, early history, and engagement with episodes such as the Bruce invasion of Ireland (1315-8) and the Black Death. Presenting a vignette of late fourteenth-century Ireland, it offers a birds-eye view of English towns in Ireland and a pen-picture of medieval Dublin (42-5). Chapter two switches the focus to the Gaelic sphere - the title paying homage to the great scholar of Gaelic Ireland, Katharine Simms, and Spartan primitivism in Gaelic Ireland. 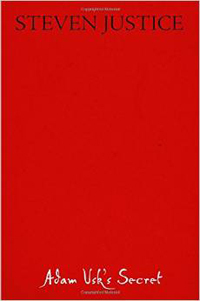 Making good use of primary accounts of Froissart (1395), de Perollós (1397), and Creton (1399), the chapter offers an exploration of customs and characteristics of the Gaelic world. Richard re-enters the scene as the focus switches to his first expedition to Ireland. Chapter three examines his campaign with Art MacMurchadha Caomhánach, while chapter four deals with his interactions with the Ó Néill kings of Tyrone. 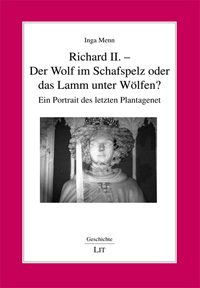 As McGettigan acknowledges, his is not the first modern study on Richard in Ireland, ably investigated by Curtis, Lydon, Johnston and Frame, scholars who populate his footnotes, nor does he claim to offer anything substantially different. As has been long-established, Richard's expeditions were well-funded, and he campaigned with up to 10,000 men. Gaelic kings were overcome with relative ease during the first campaign leading to an underestimation of their military capacities (possibly exacerbated by the absence of Thomas Mowbray, earl of Nottingham, from Richard's second expedition), with devastating consequences. MacMurchadha emerges as one of McGettigan's heroes, an intelligent and powerful king married to English baroness and heiress, Elizabeth de Veel. 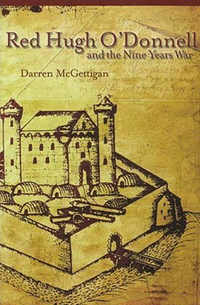 McGettigan does not focus exclusively on military matters, sketching Art's interest in culture, offering bardic poetry celebrating the king and noting that he was responsible, in 1402, for restoring the book shrine of the early Irish gospel book, the Book of Mulling (It may have been worth alerting readers that this book was recently subject to a major study at Trinity College Dublin and is available digitally on the library website). Chapter four offers an overview of Richard's other adversaries, the Ó Néill dynasty, Niall Mór (king of Tyrone 1364-97) and his son Niall Óg (king of Tyrone 1387-1403) who had attained the provincial high-kingship of Ulster by 1374. Likely cutting their negotiation teeth with Edmund Mortimer, earl of March and Ulster, who arrived in Ireland as lieutenant in 1380, McGettigan conveys the impression of shrewd individuals who submit to Richard to avoid instant bloodshed and keep a wary eye on Mortimer aggression. The list of Gaelic kings who submit is impressive but does not accurately convey English dominance. Moreover, written accounts were likely amalgamated from separate submissions. Suggesting that any gains achieved had eroded prior to Richard's departure rather than after he left, McGettigan paints a vivid picture of an impressive but ineffectual submission of Gaelic Ireland. Opening with Mortimer's murder by MacMurchadha's allies and Richard's perception of his first expedition, chapter five charts his second expedition. It traces the unravelling of Richard's ambitions as Henry Bolingbroke's arrival in England forces him to abandon Ireland to fight for his throne. McGettigan does not dwell on Richard's downfall, but glances back to his adversaries in Ireland who, in spite of his efforts, remained dominant forces. This thread is picked up in chapter six which, in lieu of a conclusion, serves as a short summary, offering a dismal judgement on the English king's efforts in Ireland and a positive vignette of his Gaelic adversaries. Direct consequences of Richard's visit are difficult to find; pointing out that the king's presence may have raised morale in English Ireland and speculations that it may have - temporally - swung the balance of local power are not ringing endorsements of the monarch's efforts, nor do they imbue the venture with any substantial significance. In fact, McGettigan suggests, "the real long-term consequence" was that the opportunity to "define the relationship between the Ó Néill kings of Tyrone and the English monarchy was missed" (197) and the episode may have served as a cautionary tale (232). Richard spent only ten months on the island and his subsequent deposition, as McGettigan acknowledges, limits the consequences of the visits. McGettigan points out that Irish kings who bested Richard make their way into folklore, thus drawing them to modern attention is worthwhile. But he could perhaps have also traced more positive recollections of Richard's efforts in Ireland, for instance, the Gaelic submissions to Richard appear in a revised list of Gerald of Wales's twelfth-century arguments for the English king's right to rule Ireland in an appendix to a 1421 petition sent by the English of Ireland to King Henry V to encourage a military campaign. Their request came to naught; Henry's personal experience with Richard in Ireland was conceivably more warning than encouragement. Perhaps McGettigan's greatest achievement is to bring the Gaelic kings to the fore of the story of Richard in Ireland, and he does so with an extremely readable narrative. He utilises an impressive array of primary material from the four languages of medieval Ireland: Latin, English, Gaelic and French although it is somewhat disappointing that, bar Gaelic poetry, primary sources are quoted in translation only. The inclusion of maps, genealogical tables and an index are useful and to be welcomed. These and McGettigan's fluid prose makes Richard II and the Irish Kings a very accessible account of the period for a general audience.